Long, thick, full, dark eyelashes are what every girl wishes for. Those are all possible with the application of NovaLash Eyelash Extensions. Individual lashes are applied to your individual upper eyelashes with a medical grade adhesive. If you are looking to enhance your eyes and make your morning routine easier with eyelash extensions in Kansas City, contact our office today. 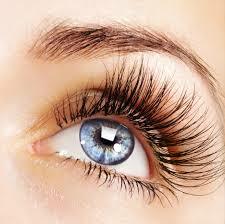 NovaLash is the industry leader in eyelash extensions. They have won several awards for their cosmetic products, including their platinum bond adhesive. This award winning medical grade adhesive has earned the reputation as the healthiest professional lash extension system by taking care to make the safest and purest eyelash extension products available on the market today. With their commitment to producing physician developed medical grade adhesives with no exposure to contaminants and do not contain any detectable formaldehyde, like many other adhesives on the market today, they will remain an industry leader for years to come. All NovaLash cosmetics are ophthalmologist tested, scientifically formulated and carbonate and glycol free with natural plant extracts, which promote healthier natural lashes. The application process is a highly technical, meticulous and tedious process, requiring well trained professionals to safely perform the procedure for optimal results. For client safety NovaLash requires an esthetics or cosmetologist state license to be trained with and to purchase their products. With each set of lash extensions being a work of art having an experienced extensionist is key to beautiful, full and long lasting eyelash extensions. When eyelash extensions are applied properly by a trained professional they will not harm the natural lash. With the trained NovaLash application technique the natural lashes have room to grow and thrive. Kansas City, experienced licensed esthetician since 2001, Keri Eichhorn has been a certified eyelash extensionist with NovaLash since the beginning of 2007 and has done around 2500 combined full set applications and fills. Licensed Esthetician Heather Mock, has had training by NovaLash and under Keri as well and has been a certified NovaLash Lash artist since 2014. Between both Heather and Keri's experience, you are guaranteed to get the fullest, most natural or dramatic eyelashes that you're looking for. Full set applications take Keri and Heather approximately 90-120 minutes and the fills take around 45-60 minutes. Our licensed estheticians do a great job in listening to the request of their clients as to how they are expecting they're eyelashes will look when finished. They are very clear with what they believe they will be able to achieve with each client and make sure they are aware of what can be done. Whether you are looking for a dramatic or natural look, Keri and Heather will not disappoint. There are several lengths and widths of eyelashes available for the best look for each person! Fills are done every 3-4 weeks for best results. If you are interested in starting to enhance your eyes with eyelash extensions or an addition of permanent eyeliner, contact our MedSpa for yourcomplimentary consultation today.